As the year 2017 is coming to an end it is time to take stock what all has happened this year and what can take place in next year. This is applicable in all fields including sports, entertainment etc. George Friedman who heads Geopolitical Futures has attempted to forecast what is in the offing in geopolitics next year. He has concentrated on some of the most important geopolitical issues in 2018 – the future of Europe, China’s rise and the new configuration of the Middle East. The integrity of the European Union, though, has been under duress since 2008. The global economic crisis of 2008 revealed structural divides within the bloc, and as its wealthier members refused to rescue its poorer members, the economic crisis morphed into a political crisis. The financial crisis also aggravated the divide between the elites and the lower classes within EU member states, galvanizing domestic political forces that rejected the right of Brussels to govern. Since then, Britain has voted to leave the bloc, and euroskeptic parties have gained prominence on the mainland. Meanwhile, the EU has lost credibility with nonmember states, particularly those of Central and Eastern Europe, which increasingly took advantage of being on the outside looking in, free as they were to float their own currencies and tailor their own regulatory environments toward competitiveness. In other words, Europe entered an era in which sovereign states began once again to reassert their sovereignty. These trends largely continued through 2017 as Europe’s economy largely stagnated and as anti-EU forces on the right continued to rise. Technocrats in Brussels, meanwhile, were unable to reconcile the bloc’s inherent internal contradictions. And so it is that after nine years the EU still cannot function as it did pre-crisis. It is unable to make core decisions collectively, and now its defining features are regional and social tensions fueled by economic issues and different cultural values. In 2018 these trends are not expected to accelerate dramatically, nor anything as profound as the Brexit is expected. But neither will the trends reverse. Europe will instead focus on coping with its new reality. And if it cannot spark more economic growth, the status quo will be further tested. The Chinese government is trapped between conflicting economic and political realities. It cannot sustain breakneck growth on a foundation of low wage exports, but it does not yet have the middle class needed to boost domestic consumption to levels that would insulate it from downturns in distant consumer markets. The reforms required to put the economy on sound footing would be extremely painful, risking major job losses that would threaten the political standing of the Communist Party. China’s leaders have tried to split the difference by keeping the economy humming with credit-driven growth while implementing only modest reform. But this has merely left the country with enormous debt bubbles and a looming housing crisis, and only slightly closer to addressing its underlying problems. The risks of instability remain. In 2017, the Communist Party consolidated its grip over society under President Xi Jinping. He has become China’s most powerful leader perhaps since Mao Zedong. There was a sufficiently widespread belief among Chinese elites that reconciling the country’s deep internal contradictions required a strongman at the helm. The only option is to try to contain the political fallout through authoritarian means as thinking in Beijing goes. The shortcomings of Xi’s authoritarianism are inevitable, and signs of a backlash will begin to emerge in 2018. Xi is already seeking to take advantage of the new political environment and the window of stable growth to double down on painful reforms. But the reforms themselves, particularly reducing industry capacity and introducing measures to cool real estate markets, will slow China’s growth, leading to job losses and discontent. Beijing will also attempt to streamline bloated industries by picking winners and losers. Some of the losers will have political clout and an axe to grind. Xi and his allies will respond forcefully to any signs of dissent. Xi is too powerful to be taken down in the near future, but the near future will be tumultuous anyway. The Middle East has never been a picture of consistently strong and coherent political structures. The structural shift in oil markets in 2014, have accentuated its political problems. Hence the Arab Spring, which helped to create the Islamic State and the vacuum of authority in Syria, Iraq and Yemen. Political pressure within such pivotal Middle Eastern states as Saudi Arabia, moreover, has aggravated regional rivalries – all while the U.S. tries to divest itself somewhat from the region. In 2017, disintegration laid the groundwork for major changes in the region. The Islamic State’s territorial ambitions in Syria and Iraq have been quashed, reopening a vast vacuum of authority in the region. Saudi Arabia succumbed to a generational political crisis. The main beneficiary of both of these developments has been Iran. With its unmatched influence in Syria, Iraq and Lebanon, Iran is uniquely positioned to fill the vacuum left by the Islamic State. Tehran’s historical rival, Saudi Arabia, is too weak and too internally occupied to decisively counter Iran – or to even maintain solidarity in the Gulf Cooperation Council. This will embolden Turkey and Israel to play a bigger part in shaping the coming geopolitical order. Disintegration is not the only defining characteristic of 2018. In East Asia, for example, events will be driven increasingly by the emerging competition between China and Japan and by efforts of the region’s heavyweights to adapt to a less pronounced U.S. presence — a dynamic that will become manifest no matter how the crisis on the Korean Peninsula unfolds. In Europe, divisions between the eastern and western parts of the Continent will become more pronounced, as illustrated by growing competition between Germany and Poland. In the Middle East, attention will be overwhelmingly focused on Iran, which sees a rare opportunity to cement an arc of influence spanning all the way to the Mediterranean. But each of these, in their own way, attest to much broader if more subtle processes underway. It’s in these larger themes that we’ll find the changes on the horizon. Colin S. Gray is the European Director and co-founder of the National Institute for Public Policy, and Professor Emeritus of Strategic Studies, University of Reading. The basic requirements for deterrence have been well understood for millennia, and for nuclear deterrence since the mid-1950s at least—well before the missile age dawned in the close of that decade. For the subsequent fifty years, it appeared to be the case that both the technical and the intellectual challenges of nuclear weapons and nuclear deterrence had been met adequately. Would that such a satisfactory condition could hold indefinitely. Of course it could not and has not, which is the reason for this essay. My visit was eye-opening — but it also raised some unsettling questions. There were clear signs that Pakistan has made progress in countering terrorism in North Waziristan, but also good reason to believe that a less positive picture lay beyond the small area I saw. Moreover, Pakistan’s efforts in the region cannot be designated an unqualified success, given its lack of decisive action against certain terror groups, particularly the Haqqani Network. I also was struck by how easily the progress made could be squandered, thanks to the enduring presence and appeal of extremism around the country. Ultimately, the North Waziristan counterterrorism campaign highlights the broader disagreements between the United States and Pakistan over the latter’s support for militants, a divide that has widened with the Trump administration’s threats to Pakistan over its ties to terrorists. 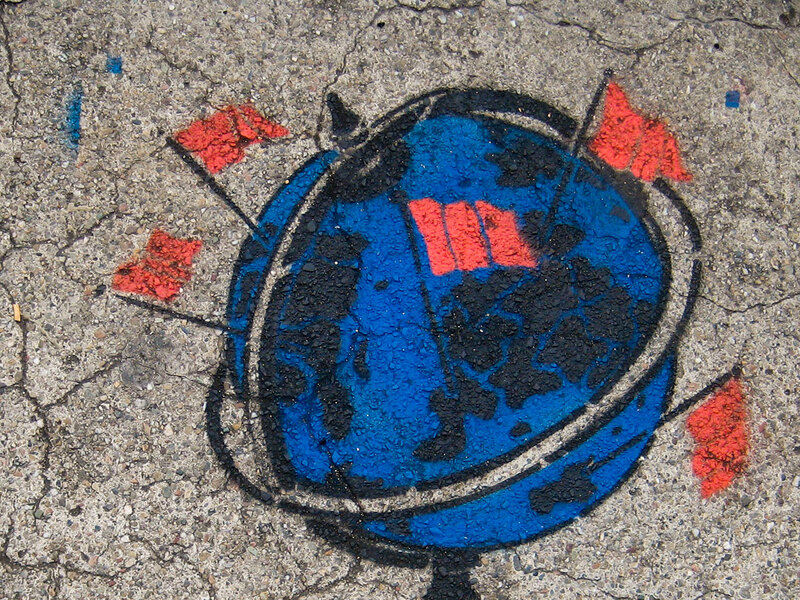 Almost thirty years after the end of the Cold War, geopolitics looks like it’s poised for another turn, which this time might not be as favorable to Western interests. So what could this new world order look like? And what approach should the transatlantic community adopt towards it? In this paper, Mathew Burrows responds by describing three possible scenarios and argues that depending on how the West plays its cards, traditional Western values could end up enduring even if an exclusively Western-led order does not. Chinese authorities are collecting DNA samples, fingerprints and other biometric data from every resident in a far western region, Human Rights Watch has said. Officials are also building a database of iris scans and blood types of everyone aged between 12 and 65 in Xinjiang, adding to controls in a place some experts have called an “open-air prison”. The region is home to over 11 million Uighurs, a Muslim Turkic minority, and is occasionally hit by bouts of violence. The United States remains legally committed to the defense of Taiwan, even though it no longer recognizes it as the government of China. Despite a recent spike in tensions, China-Taiwan relations are still massively improved, exchanging university students and business investments rather than artillery shells and aerial bombs. However, the capabilities of the PLA have drastically increased in the interval as well. In the event of military conflict, most believe China would use the modern equivalent of the tactics used at Yijiangshan: a massive bombardment by long-range missile batteries and airpower well before any PLA troops hit the shore. We should all hope that scenario remains strictly theoretical. A rising post-90s generation is emerging as a strong engine of consumption, in one of four important new trends in the Chinese consumer landscape. If you’re looking for evidence that Chinese consumers are confident, look no further than the one-day online-sales phenomenon known as Singles Day, which falls every year on November 11. Singles Day has morphed from being a day dedicated to lonely singles to becoming the largest e-shopping day globally. With an estimated $25 billion in sales, or over $1 billion in transactions per hour, Singles Day this year easily bested last year’s sales by close to 40 percent, and was larger than Black Friday and Cyber Monday in the United States combined. There is an interesting link on the White House website. Click and you will find a blunt statement. “President Trump stands in solidarity with Israel to reaffirm the unbreakable bond between our two nations and to promote security and prosperity for all. Stand with President Trump and Prime Minister Netanyahu.” There, of course, is no alternative link that asks the reader to stand with President Donald Trump and Palestinian President Mahmoud Abbas in the same way. In the wake of President Trump’s recognition of Jerusalem as Israel’s capital last week, the “experts” crowding the media predicted strategic calamity: Vast, violent protests and a wave of terror would sweep the Muslim world in the coming days. Instead, the largest demonstration anywhere this weekend was the funeral procession for Johnny Hallyday, the “French Elvis.” Nothing in the Middle East came close. We have witnessed, yet again, the carefully phrased anti-Semitism of the pristinely educated; the global left’s fanatical pro-Palestinian bias; and the media’s yearning for career-making disasters. 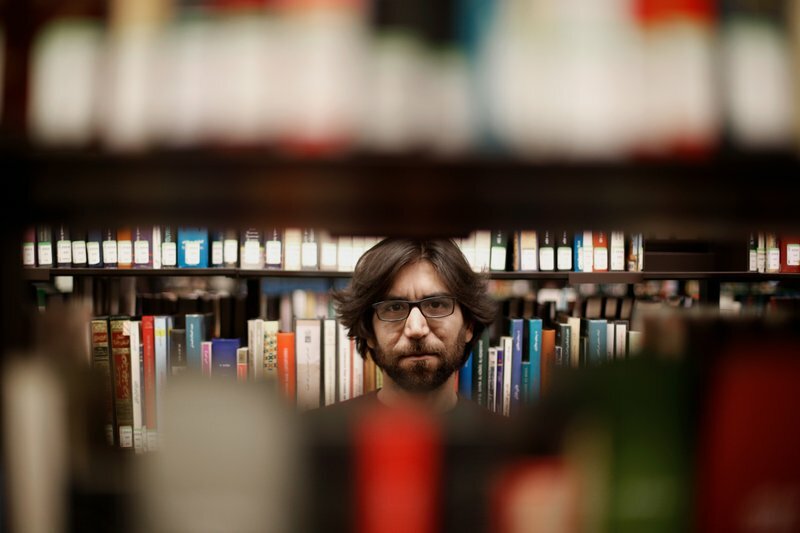 He packed his bag with his most treasured possessions before going to bed: the 1 terabyte hard drive with his evidence against the Islamic State group, an orange notebook half-filled with notes on Ottoman history, and, a keepsake, the first book from Amazon delivered to Mosul. He passed the night in despair, imagining all the ways he could die, and the moment he would leave his mother and his city. He had spent nearly his entire life in this home, with his five brothers and five sisters. He woke his mother in her bedroom on the ground floor. Israel fired missiles at a base near Damascus, Syria, over the weekend. According to Syrian news agency SANA, two Israeli missiles were shot down. Arab media reported that the target was an Iranian military base. After the attack, Israeli Prime Minister Benjamin Netanyahu warned that Israel would not tolerate Iranian forces in Syria. Israel previously had chosen not to conduct airstrikes on this reported Iranian base as it had done against other targets – mostly Hezbollah weapons convoys – in Syria. Israel obviously knew this site was well protected, proven by the fact that it had anti-missile capabilities. Several people have asked me lately whether I thought the Islamic State will become a "virtual caliphate" now that it has lost most of the terrain it once held, including the strategic cities of Mosul and Raqqa. At the same time, I've talked with people who claim that the Islamic State has been destroyed. Both viewpoints have some truth to them, but neither is the whole truth. Both miss where the Islamic State is really headed. Right now is the “last, best chance to avoid conflict” with North Korea and “time is running out,” President Donald Trump’s national security adviser said on Tuesday. H.R. McMaster, speaking at an event for the British think tank Policy Exchange, described dire circumstances as the administration tries to counter North Korea’s developing nuclear weapons program.He was previewing the new National Security Strategy, a document put out by each administration that shapes how it approaches foreign policy and national security issues during its tenure. Trump will unveil the full document on Monday. Who’s Afraid of a Balance of Power? If you took an introduction to international relations course in college and the instructor never mentioned the “balance of power,” please contact your alma mater for a refund. You can find this idea in Thucydides’s Peloponnesian War, Thomas Hobbes’s Leviathan, and the ancient Indian writer Kautilya’s Arthashastra (“Science of Politics”), and it is central to the work of modern realists like E.H. Carr, Hans J. Morgenthau, Robert Gilpin, and Kenneth Waltz. Amid Russian and Syrian Regime Triumphalism, Is the War in Syria Effectively Over? The war in Syria is not over. However, a phase in this war is indeed behind us, the one dominated by the regime (with its Iranian and Shi‘a and Russian allies) and the armed non-jihadi opposition, in all its diversity and contradictions, which Russia dramatically weakened and isolated in its two-year intervention. The fragmented territory today, foreign military occupations, and conflicting political agendas might lead to new confrontations: In Idlib, where Jabhat Fatah al-Sham (formerly Jabhat al-Nusra) is a potential target for different actors such as Russia, the United States, and local forces; in the north and northeast, where tensions between Turkey and Kurdish forces could escalate into armed conflict; and in the east, where the regime and pro-Iran militias on the one hand and Kurdish forces on the other might struggle for hegemony over large territories. This may be compounded in different parts of Syria by suicide bombings organized by defeated elements of the Islamic State, or by fighting around besieged opposition-held localities if the sieges are not lifted by the regime. It's been going on for so many years -- Predators cruising, looking for their prey. Some attention has since been paid to the phenomenon and to the devastating effect their actions have had on their victims, but it hasn’t really mattered. The predation has only spread. Oh, before I go any further, let me clear up one possible bit of confusion. I’m not talking about Charlie Rose, Roy Moore, Donald Trump, Harvey Weinstein, or any of that crew of predators. I’m talking about America’s robotic killers, the drones that long ago were grimly named Predators (retired this year) and their more advanced cousins, the Reapers (as in Grim...), who have taken a once-illegal American activity, political assassination, and made it the well-respected law of the land and increasingly of huge swaths of the globe. He had just won silver for the third year in a row at the world’s premier high school mathematics championship, the International Mathematical Olympiad, which was held in Hong Kong in 2016.But the night before he was supposed to return to North Korea with his team, the 18-year-old walked off the campus of the Hong Kong University of Science and Technology and defected.According to Kim Heung-Kwang, a former science professor who also escaped from North Korea, Ri is now studying at a university in Seoul. Little else is known about him.Had Ri stayed in North Korea, says Kwang, who now runs a nongovernmental organization that advocates for defectors’ rights, he could have become a mathematician — or he could have joined the Kim regime’s advanced cyberwarfare unit. It features thousands of members. Five months before North Korea’s first nuclear test in 2006, U.S. intelligence officials sent a report to Congress warning that secret work also was underway on a biological weapon. The communist regime, which had long ago acquired the pathogens that cause smallpox and anthrax, had assembled teams of scientists but seemed to be lacking in certain technical skills, the report said.“Pyongyang’s resources presently include a rudimentary biotechnology infrastructure,” the report by the director of national intelligence explained. This essay is part of the #WarBots series, which asked a group of academics and national security professionals to provide their thoughts on the confluence of automation and unmanned technologies and their impact in the conduct of war. We hope this launches a debate that may one day shape policy. 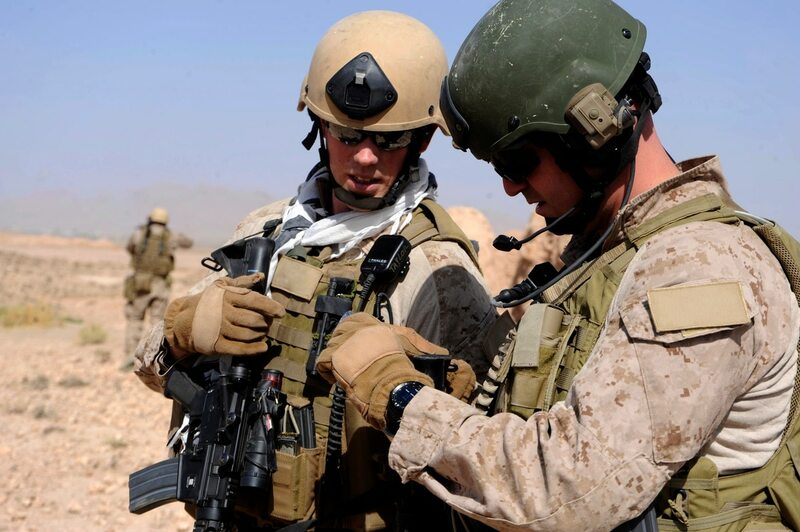 The Marine Corps - much like their land warfare brethren in the Army - are looking to improve their electronic warfare capabilities in the face of emerging and sophisticated threats in this space. “We’re looking to improve our mounted and dismounted capabilities. We want to be able to prosecute both ground threats and airborne threats as well,” Col. Brock McDaniel, portfolio manager in the command element systems at Marine Corps Systems Command, said during a panel discussion at a defense conference in Charleston, SC Dec. 7 hosted by the Charleston Defense Contractors Association. Many questions persist about bitcoin and other cryptocurrencies. 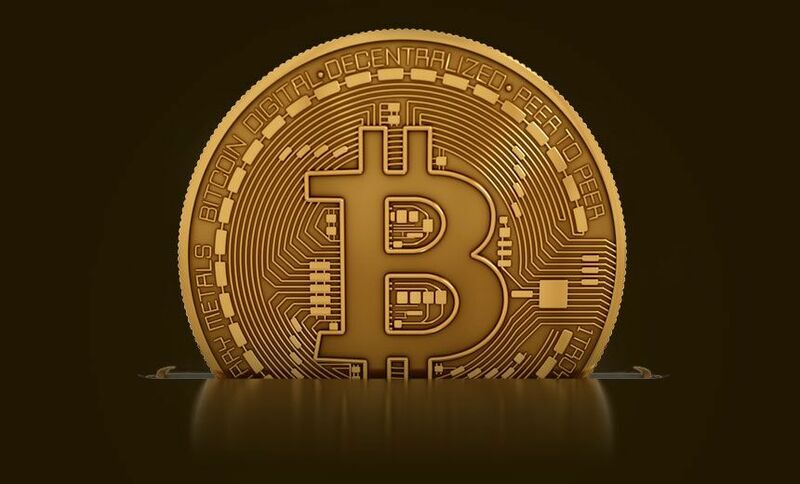 But as the value of bitcoin, in particular, has continued to soar, cybercriminals have increasingly turned to obtaining all types of cryptocurrency by any ruthless means necessary. Here are nine trends and observations: Cryptocurrency mining refers to solving computationally intensive mathematical tasks, which, in the case of bitcoin, are used to verify the blockchain, or public ledger, of transactions. As an incentive, anyone who mines for cryptocurrency has a chance of getting some cryptocurrency back as a reward. Myths aside, artificial intelligence is as prone to bias as the human kind. The good news is that the biases in algorithms can also be diagnosed and treated. Companies are moving quickly to apply machine learning to business decision making. New programs are constantly being launched, setting complex algorithms to work on large, frequently refreshed data sets. The speed at which this is taking place attests to the attractiveness of the technology, but the lack of experience creates real risks. Algorithmic bias is one of the biggest risks because it compromises the very purpose of machine learning. This often-overlooked defect can trigger costly errors and, left unchecked, can pull projects and organizations in entirely wrong directions. Effective efforts to confront this problem at the outset will repay handsomely, allowing the true potential of machine learning to be realized most efficiently. The U.S. military has numerous teams and major funding directed toward fighting cyber adversaries, with serious resources dedicated to protecting networks and delivering effects in the cyber domain. But what’s the military’s role when it comes to combating information warfare and the “fake news” that continues to evolve as a battlefront? 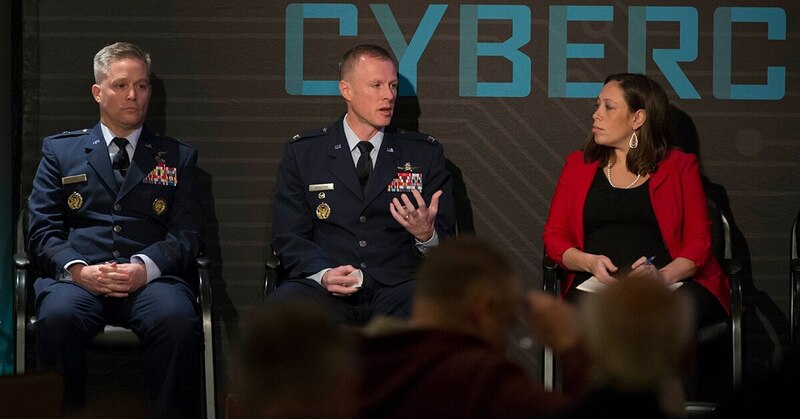 While not a primary mission for U.S. forces, understanding information warfare and how it impacts areas of responsibility is something that is taken into consideration in U.S. cyber training and operations, according to Department of Defense officials.